The story that is still growing. "I love gardens and watching things grow." Nature's Finest Club is dedicated to re-connecting students to the natural environment. Directions to the Nature's Finest Club Garden below. 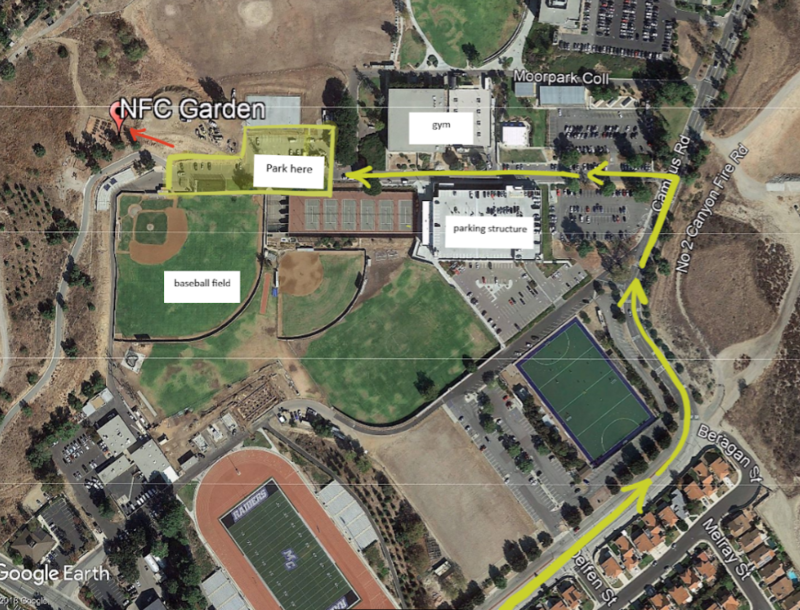 You can find the NFC Student Garden by following the signage for the Gymnasium from Campus Rd, then driving past the gymnasium and the parking structure. At the end of that road, the Garden will be on the hill -​ look for a red picket fence! Once we establish our roots in Moorpark College soil, the vision will not stop growing. We dream of providing the students of Moorpark College with free fresh organic foods that are harvested and grown right from our students at our student garden. The three elements to this vision are the: student garden, sanctuary, and food stand. As none of this yet exists, we plan on utilizing all the support we can get from our community, local businesses, and interested students. The sanctuary will be a calm place next to the garden where students can unwind, relax, meditate, study, or just enjoy the beautiful oaks and natural surroundings. The entirety of this vision we think will lead our generation to a different way of living that benefits both humans and nature. "Together... We can and will make a difference"
Nature’s Finest holds a very special style that runs deep throughout the club. We believe that by adopting these actions listed below, we will reach our highest self and transform our current communities into the finest known to man.